Alkaptonuria is a genetic disorder, unknown to the general public and ignored by general physicians due to lack of awareness of its high prevalence. Increasing incidences of familial inheritance are recorded. A 41 years 8 months male with the swollen knee, chronic mechanical pain, restricted limping walk and tingling sensation in the limb. Also, has a complaint of the stiffness of back in the morning, which gets relieved by movement. Mild hyper pigmentation of pinna and sclera of eye. X-ray report reveals osteoarthritis of the knee and thoracic kyphosis. After considering clinical finding, report of radiological investigation and Biochemical test results, patient was diagnosed as a case of Alkaptonuria. Screening of entire family revealed a typical case of familial inheritance. Hidden familial inheritance can be disclosed by mass screening of families and medical awareness. This study is purely a self funded study, approved by the institutional ethical committee. The sample used for the study was Urine, which was collected from all the participants of the study after explaining and taking their consent. The authors of this case report have declared that they have no conflict of interest. Trivedi DJ, Haridas V. Five Cases of alkaptonuria among two generations of single family in Dharwad, Karnataka (India). 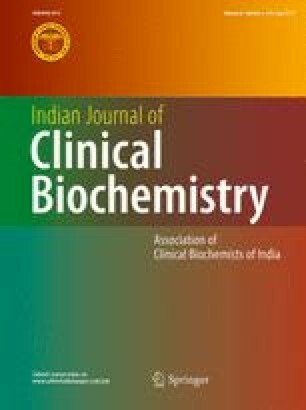 Indian J Clin Biochem. ISSN 0970-1915, doi: 10.1007/s12291-015-0488-y.